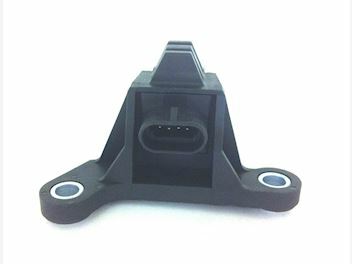 Aftermarket Holden Crank Position Sensor will fit the following models: 1991 - 2004 Commodore V6 2001 - 2003 Monaro V6 1991 - 2004 Statesman V6 Ute, VR, VS, VT, VX, VY Will also fit: 1995 - 2002 Chevrolet Camaro V6 2000 - 2005 Chevrolet Impala V6 1993 - 1999 Oldsmobile 88 V6 1995 - 2002 Pontiac Firebird V6 CAS0004 This information is to be used as a guide only, if you are unsure whether this part fits your vehicle please ask. Supply your licence plate / VIN number and we will endeavor to answer your questions within a few hours. All listings are in stock. If you cant see what you need ask us, we may have it listed under another make or model and if not in stock we can get it for you. Free delivery with NZ Couriers - parcels sent out Monday to Friday. Pick-ups on weekends / week days / evenings by arrangement. We offer a 12 month replacement warranty on parts with manufacturing faults. All items are quality checked before dispatch. Please note if you buy a part without checking with us and it is incorrect for your vehicle, refund / replacement is at our discretion. Parts returned because they are not the correct one will be refunded less any costs incurred including freight. We will do your best to supply the correct part for your vehicle based on the information you provide, if an incorrect part is supplied through our fault we will replace it at no further cost to you.